A Lancashire Archery club and charities from across England have teamed up to engage and inspire people with vision impairment to take part in target sports. British Blind Sport (BBS) and Chorley Bowmen, an Archery club in Lancashire, have embarked on the project as a unique way of increasing participation of people with vision impairment in sport. BBS is a charity that enables people with vision impairment to have the same sport and recreational opportunities as sighted people. The charity believes that these activities can enhance the lives of people with vision impairment by improving their health and increasing their social interaction. On Saturday 21 May 2016, Chorley Bowmen will host an Archery Open Day at Accrington Academy in Lancashire. 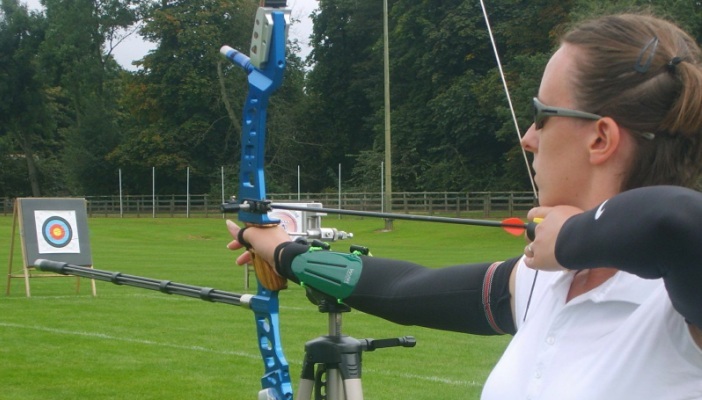 The event will provide an opportunity for people with vision impairment to try Archery and discuss opportunities available to them with coaches in their area. Further dates will be announced for Birmingham and West Midlands, and Oxford. Previous experience is not necessary and events are open to anyone of any age, with any ability (children under 16 need permission from a parent or guardian). Full information, equipment and support will be provided by trained coaches. Free transport is also available from some locations, please see below for details. At the beginning of April, Galloway's Society for the Blind and BBS hosted a Coach Development Day for coaches and supporters from across England at South Ribble Tennis Centre in Preston. They discussed the challenges faced by participants with vision impairment, their practical needs and how to develop their skills long-term. More Development Days will be announced for other clubs across the North West region.